HDX Microfiber Towels are super soft and lint-free, so they are safe on all surfaces. The large size is great for those extra tough jobs. The unique design of microfiber lifts and traps dirt and dust like a magnet - no chemicals needed. Use damp for cleaning, wet for heavily soiled areas and dry for dusting. These 16-inch x 12-inch cloths are machine washable, allowing for several uses. The pack quantity ensures that you always have a towel around when you need one. This microfiber cloth cleans gently, removes dirt and grime like magnet. Super absorbent, holds up to 7-8 times its weight in liquid realistically. Cleans without chemical, leaves lint-free and streak-free results. Thick, plush and soft; Machine washable, air dry; Safe for all hard surfaces. his microfiber cloth cleans gently, removes dirt and grime like magnet. Super absorbent, holds up to 7-8 times its weight in liquid realistically. Cleans without chemical, leaves lint-free and streak-free results. Thick, plush and soft; Machine washable, air dry; Safe for all hard surfaces. 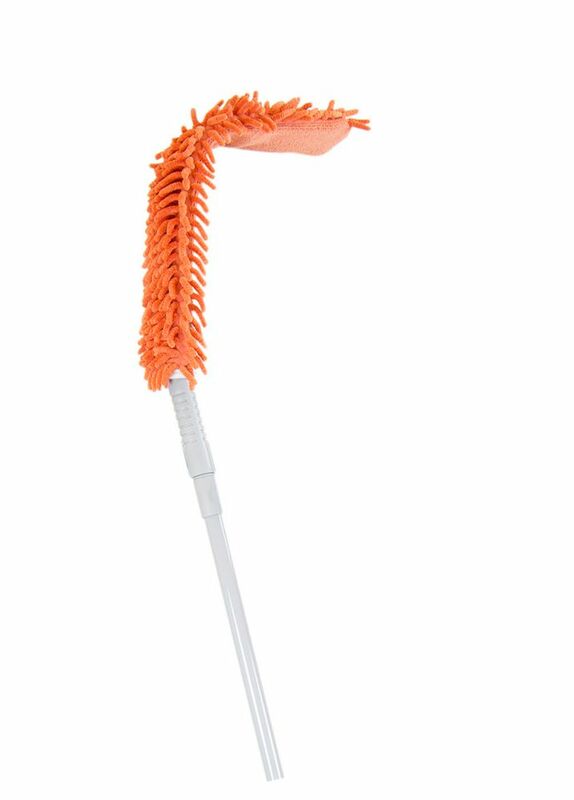 Microfiber Flex Duster is rated 3.9 out of 5 by 36. Rated 4 out of 5 by Joe from Works as advertised at a reasonable price.... Works as advertised at a reasonable price. Rated 1 out of 5 by Carolyn from This doesn't work. The duster handle flops all over the... This doesn't work. The duster handle flops all over the place. Would not recommend or purchase again. can you get replacement sleeves? it says they are machine washable. Not necessary as the sleeves will last for years for home use.